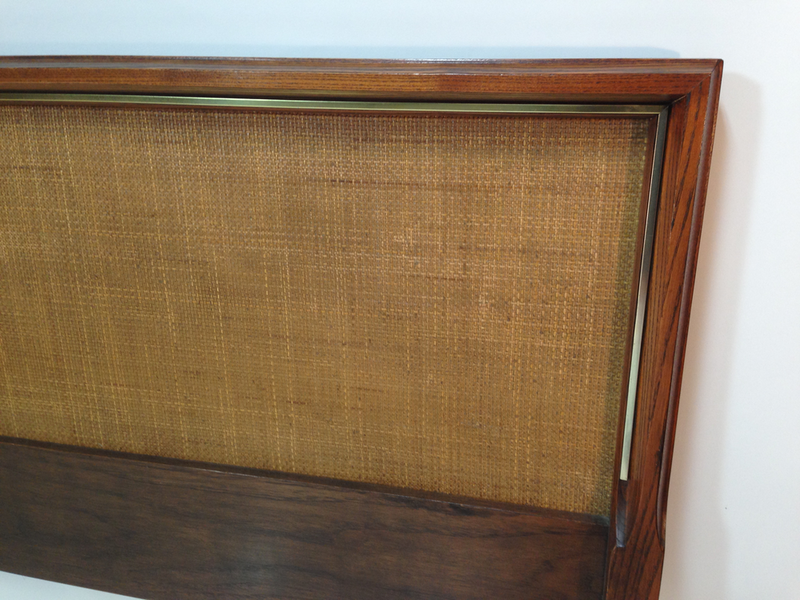 A vintage, 1960's, walnut framed king size head board with caned interior. This is very well built with inlaid brass trim and is a subtle piece of fine craftsmanship. Excellent original condition. Can easily attach to a king size or smaller bed frame.